Jay Luong and his team at Audio Bacon call themselves “curious audiohiles”. What they mean by that is that they value genuine impressions from extensive listening tests rather than just regurgitating marketing speak from a press release. So Jay set out to listen to the REF 10 in all detail, which we appreciate a lot. In addition and maybe even more valuable, Jay also looked at the competition, how they compare, and how to best integrate the REF 10. Frequent questions we hear from customers are in regards to the importance of the connected cables and the power supply. Jay’s review has some answers or at least considerations to make those calls. In the end, the REF 10 left a lasting impression:"Some may feel the master clock is a finishing touch. I can’t disagree – my system sounds superb without it. However, after numerous comparisons (you have to listen over time) – you’ll start to realize what you’re missing. The tonal perspective, the dimensionality, the musical shapes, the articulation, and the smoothness. You also realize that the goosebumps aren’t as frequent and the listening sessions aren’t as long. You skip more tracks and you’re not quite at the previous level of ecstasy. At that point, you’re thinking – is it really a finishing touch? Or do I need one? Such is the audiophile’s dilemma. There’s something so…faithful about what the REF 10 does. It removes the noise and confusion entirely and brings life to your to your digital library. If you want to hear the best of what digital audio has to offer. 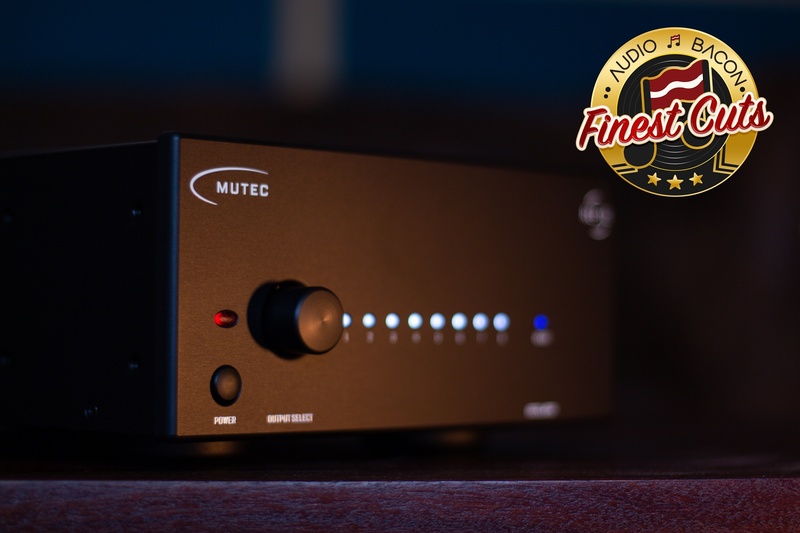 Get a Mutec REF 10 – pronto." As a result, Audio Bacon has awarded the REF 10 with its highest and rarest of awards - the Finest Cut. This is a must read for all!